Medicare, the federal government’s health program for people 65 and older, was established over 50 years ago by President Lyndon Johnson. The first Medicare card, in fact, was issued to former president Harry Truman. Since then, Medicare has grown tremendously. By the end of 2017, there were nearly 60 million people receiving health coverage through Medicare, and $702 billion in benefits were paid, according to the Kaiser Family Foundation. While Medicare is a benefit millions of people take advantage of, it can be confusing to figure out what you need. Here are five things we thought you should know to help you through the Medicare process. 1. Start thinking about Medicare in your early 60s. Are your doctors going to be covered under the plan you choose? Are your prescriptions drugs going to be covered? How much will your premiums and deductibles be? Will you have coverage in another state or if you travel abroad? The government’s Medicare web site is easy to use and a great place to start educating yourself about your choices, that way you’ll know exactly what questions to ask when the time comes. Medicare Part A is hospital insurance and covers inpatient care (semi-private room cost, hospital meals, and supplies) in hospitals. There is no monthly premium if you qualify for Medicare and have paid Social Security taxes for 10 years. There is a yearly deductible for Part A, but once met, days 1-60 of hospitalization are covered 100%. After 60 days, you must pay an amount set by Medicare. Medicare Part B is medical insurance and cover doctors’ services, hospital outpatient care, and home health care. The amount you pay in premiums depends on your annual income. There is a yearly deductible that once met, Part B generally pays 80% of the Medicare-approved amount for covered services. (You pay 20%.) Medicare pays 100% of most preventive services. Medicare Part C is Medicare Advantage, an alternative to Original Medicare. Part C plans are offered by private insurance companies and cover the same services Part A and Part B cover, and often prescription drugs as well as some other services like vision or hearing. The cost of a Medicare Advantage Plan depends on the insurance company offering the plan. The cost of premiums, copays, and deductibles vary. Medicare Part D is Prescription Drug Plans. There are several different Part D plans offered, and they vary in cost and medications covered. Monthly premiums for drug plans can also vary, even if coverage is similar. Medicare Supplement Insurance, also called Medigap insurance, helps cover the cost of expenses that are not covered in Part A and Part B like medical service copays and excess hospitalization. 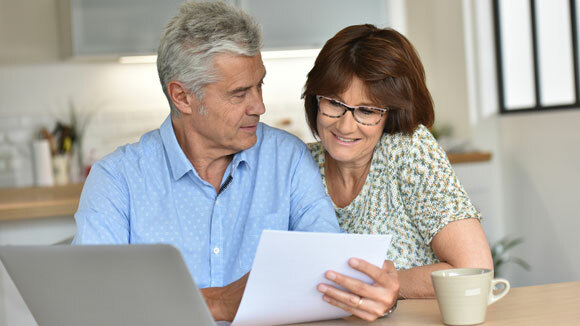 Medicare Supplement Insurance is sold by private companies and plan prices can differ depending on the insurance company and the state where you live. Some Medicare Supplement policies have out-of-pocket maximums, while others do not. 3. Getting Medicare coverage is not always automatic. If you are getting Social Security, in most cases, you’ll automatically get Part A and Part B starting the first day of the month you turn 65. If you are 65 but have delayed your Social Security benefits and want to sign up for Medicare coverage, call Social Security at (800)-772-1213 at least three months before you turn 65 to avoid any late charges or penalties. One more thing to note: Whether you’re automatically signed up for Medicare or have to call to sign up, think about whether you want a family member or friend to be able to call Medicare on your behalf. If so, you must give Medicare permission in writing for that person ahead of time. Learn more here. 4. Choose your Prescription Drug Plan wisely. Each Medicare Prescription Drug Plan has its own list of covered drugs. Many Medicare drug plans classify drugs by tiers and each tier has a different cost associated with it. Before you choose a Prescription Drug Plan, it’s best to look at the plan’s list of drugs to see if your medications are covered, and how much they will cost you. Also, keep in mind that it is best to choose a Prescription Drug Plan when you initially sign up to get Medicare. If you go more than 63 days without a Prescription Drug Plan, you’ll be charged a late enrollment penalty, which goes up for every month you are uninsured. October 15 – December 7 – This is considered “Open Enrollment”, which is the period every year when you can change your Medicare health coverage and Prescription Drug Plans. During this time, you can choose to get a Medicare Advantage Plan over Original Medicare, you can switch Medicare Advantage Plans if you are already enrolled in one, and you can change your Prescription Drug Plan. January 1 – If you make a change during open enrollment, this is when your new coverage will begin. Learn more about special enrollment periods here. For additional Medicare info, see our complete guide here.